The domain name Bitcoins.com, owned by Mt. 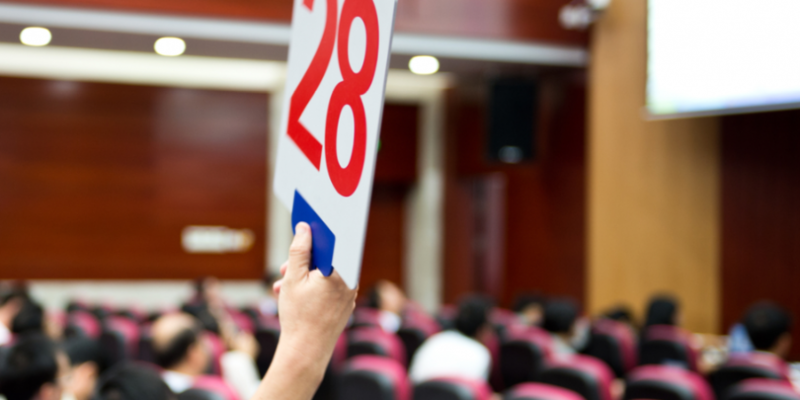 Gox CEO Mark Karpeles, is set to be sold off through US-based auction house Heritage Auctions on 24th July. The sale of the domain name is part of Heritage’s 2014 Domain Names Signature Auction and is expected to garner at least $750,000, owing to what the auction house calls the high-value of the domain name. The auction will begin with an opening bid of $185,000. It is perhaps the highest-profile auction of a bitcoin-related web address to date. In the past year, several domain names have been sold for hundreds of thousands of dollars, including BitcoinWallet.com for $250,000. The news follows recent revelations that Karpeles’ company Tibanne K.K., which currently owns the Bitcoins.com domain name, billed Mt. Gox for roughly $200,000 in fees. In the past, Karpeles has indicated that he was planning to auction off Bitcoins.com, as well as other domain names owned by Tibanne. Mirroring past demand for bitcoin-related domain names, Heritage’s auction frames Bitcoins.com as a prime investment opportunity. The company suggests on the official auction page that, in the future, a prospective investor or investors could sell the domain name to a prominent business in the ecosystem. Conversely, bitcoin businesses stand to benefit from owning an easy-to-share domain name that enables greater visibility. Heritage founder and director of intellectual property Aron Meystedt cited past domain name sales when suggesting that Bitcoins.com is a rare buy. The auction of Bitcoins.com could fetch a high price, given the broad exposure to a global market that Heritage provides. Heritage is the third-largest auction house in the world, with annual sales exceeding $900m per year and more than 850,000 bidders in its network. Given the history of past domain name auctions, Bitcoins.com could be sold for as much as $1m at the Heritage auction. This is also suggested by the prominence of bitcoin-related domain names and the value for potential investors. Last month, CoinDesk spoke with entrepreneur Niko Younts, who originally owned the BitcoinWallet.com domain name. He now owns a broad portfolio of domain names that includes national site addresses for dozens of countries. Other easily recognizable domain names, including BTC.com, are also currently for sale by various investors.